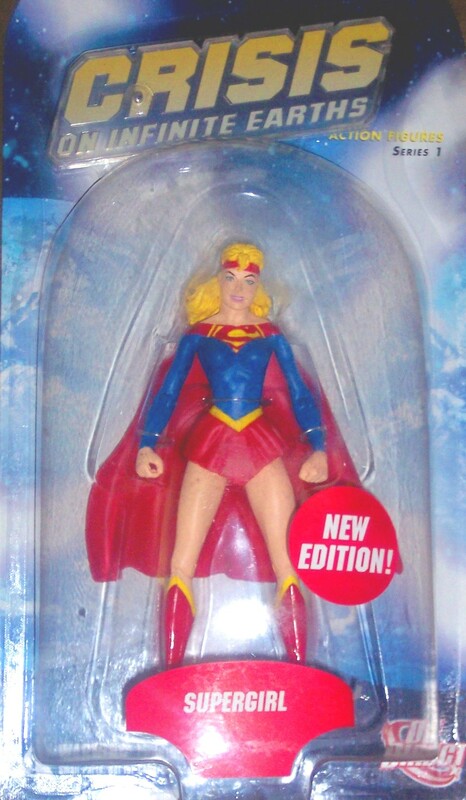 She's Fantastic: DC Direct Crisis SUPERGIRL! When DC Direct solicited the first Crisis on Infinite Earths series (in celebration of the 20th anniversary of the 1985 comic series of the same name), there was a lot of favorable response. 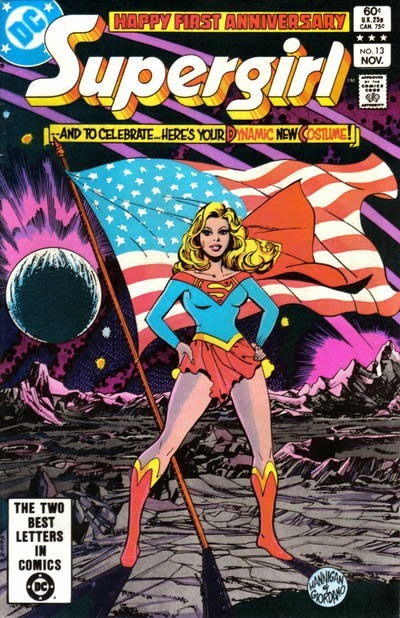 The characters looked great, their designs were new to plastic, and the story was both iconic and nostalgic. 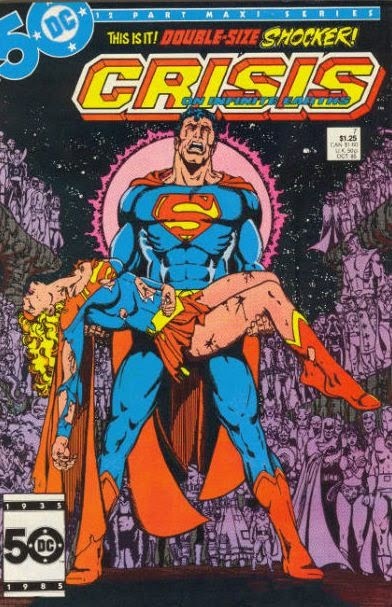 But then the figures came out and fans weren't so happy. There were numerous quality control problems - the most obvious being poorly applied paint that was thick, sloppy, and possibly still wet when packaged. DC Direct recalled the wave (asking store owners to cut off the heads of the figures and return them). The next year the figures were re-released in all their intended glory. These new(er) figures had red namecards under the plastic and a "New Edition!" sticker on the bubble. (Bobby Brown was big in the eighties) This Supergirl is one of my favorites. She's the one I would most want to be friends with. She looks happy and retro and I would like to borrow that headband. Seriously. Let's check her out below! Above is the packaging for the original release, below is the reissue. DC Direct sometimes did this genius thing where the graphic logo on the packaging was also the figure stand. 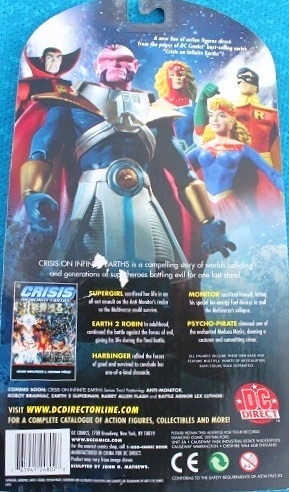 In this case you can see the reissued figure stand was yellow instead of the original blue. 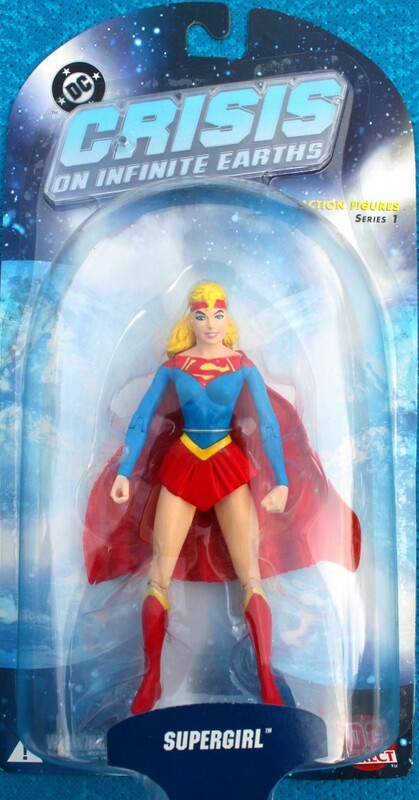 She's articulated like a typical DC Direct figure. Her arms and legs always seem a little more splayed out than I would expect, but she looks good overall and you can put in her in some good simple poses. 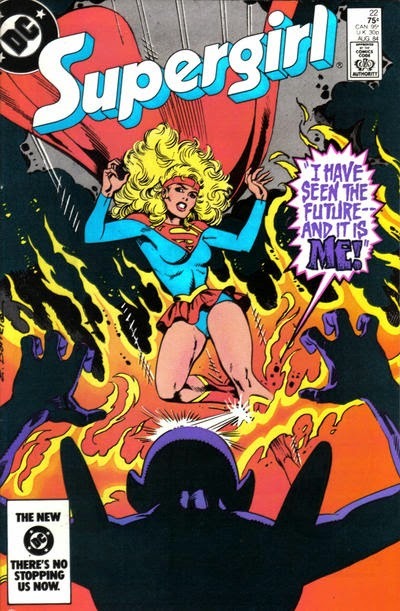 Here are some classic cover images of this mid-eighties version of Supergirl. Little known fact, this costume was almost the one worn by Helen Slater in the 1984 Supergirl film. 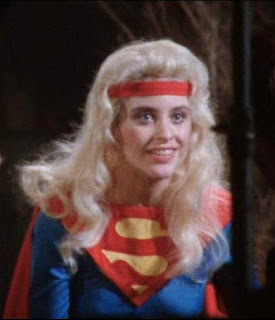 She ended up wearing a simple skirted version of Superman's costume, but the headbanded costume is present in the pre-production photography. The John G. (Jack) Matthews sculpt is great. It's refreshing to not have every girl giving you a cold hard stare. Time for some Comparison and Group pics! Here is Supergirl with her counterpart from the 2009 Infinite Heroes line by Mattel. GREAT group shot! 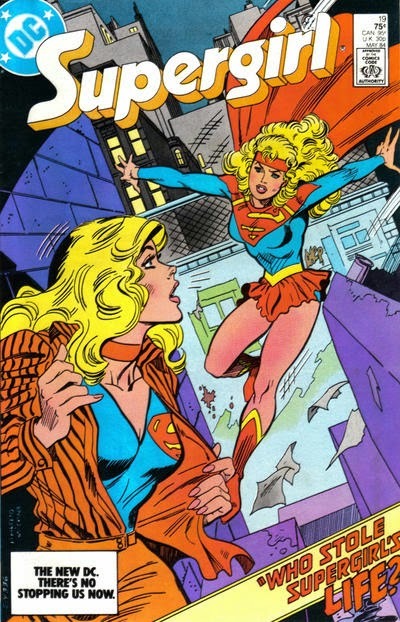 I kinda like this costume- didn;t know about Slater's pre-production outfit! I've always thought this costume was a lot of fun. And it's cool how you still see it show up on little PVC figures or random graphics on school supplies. The Slater costume was something I only recently discovered (on Wikipedia no less).